320p. HarperCollins/HarperTeen. Oct. 2018. Tr $18.99. ISBN 9780062866561. Gr 9 Up—In the aftermath of 9/11, Shirin, a Muslim American teenager, bears the brunt of the country's anger on a daily basis. An intelligent, mature girl, Shirin has built up a tough armor from years of being bullied and misunderstood. Moving homes frequently because of her parents' continual desire to upgrade, she and her older brother are used to the ways their peers and teachers warily observe them. But now that the country is in panic mode and people see threats everywhere, Shirin, who has always chosen to wear a headscarf, is ostracized even more than usual at her newest high school. When a good-looking, white classmate, Ocean, starts to pay attention to her, Shirin cautiously dismisses him. Eventually, the two enter into a tentative relationship. No matter how much Shirin had anticipated the backlash, she is unprepared for the events that unfold when the community finds out about the two of them. It is not easy to incorporate important cultural themes in a young adult novel that also satisfies the social, romantic needs of teen readers. Not only does Mafi pull it off beautifully, but she exceeds expectations by delving deeply into characterization as well. Her writing is nuanced, smart, and lacks the sentimentality that often weighs down young adult books. 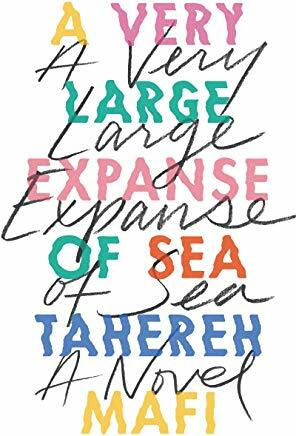 Shirin and Ocean's interactions are palpable, and the discussions and exploration of what it means to be a Muslim in politically charged America will resonate with many teens and will be enlightening for some. VERDICT A must-have for all library collections.